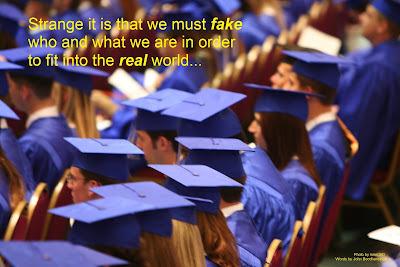 Strange it is that we must fake who and what we are in order to fit into the "real" world. Strange it is that those who can't successfully “fake it ‘til they make it” are left behind. Strange it is how so many who succeed automatically know why others failed. 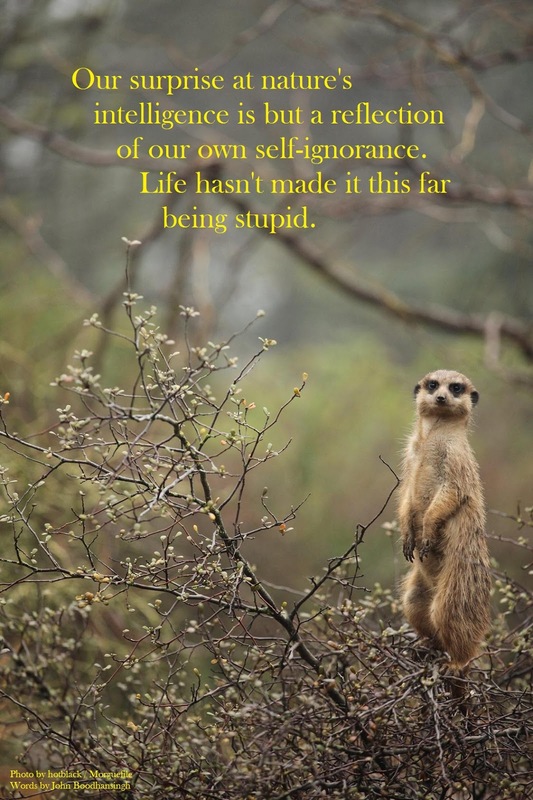 It seems preferable for so many to hold these shallow rationalizations as if absolute truths. Rather than facing the fact that The System is inherently and thoroughly FUBAR, the blame is instead laid on the “failures” (who themselves often believe the “should’a”/“shouldn’t’a” lies). I have a novel idea: Let’s stop being fake. Let’s stop lying to ourselves and to each other. I know. The left side of my brain just blew out. But I think I might be on to something. What I’ve found so far is that when we stop being fake, what is real has a chance to arise. Now, to say that “what is real has a chance to arise” is not to say that no one goes to school or gets a job or whatever. What I’m pointing to is the need to get out of the authority-defined cubical construct suitable only for obedient clones and instead seek to uncover, each of us personally, our unique soul purpose. What this means specifically for any given person, I cannot say. But if you’re truly tired of playing the ancient slave-game, you’ll begin finding out just as soon as you’re truly willing. You knew reality as a child. Do you remember that time? That short period when you still had a dream? Before the light of your soul was stomped out? Well, they’re both still there, waiting patiently for you—reality and your dream. You need your dream because it’s what makes you you. Our dreams are our creative, explorative soul paths that are 100% tailored to each of us as individuals, embedded deep within our souls and yearning to come forth. Our dreams are also our paths to reality—except when we don’t follow them, when we fake who and what we are, we live only as an expendable character in some other author[-ity]’s story. Understand that there is nothing of value to gain in being fake—it’s just a very hard, exhausting, and painful path. But there is everything to gain in being authentic and making your dream a reality. What I’m asking you to do now is become the author and authority of your own story, of your own life. Make it real. Do what you know in your soul is yours to do. Be as you’d come here to be. Most likely, you can only answer these questions based on what the world has told you. Because you have spent your life following and knowing only what has been provided to you by authority. The answer is in the word: author-ity. In their name, you have abandoned your worth, your individuality, your creativity; you have given them all your power and thus allow them to author your life. You are like the player in a video game. You appear to yourself as doing everything—all the acting, all the speaking, all the choosing. But, in fact, you’re merely a programmed tool, a two-dimensional character in an illusory world of other-defined parameters, owned and operated by an unseen hand. May I make a suggestion to you? If you were truly in a video game, I would tell you to turn around, to look into the screen and see that you’re being played. But you’re not. Similar, but not. 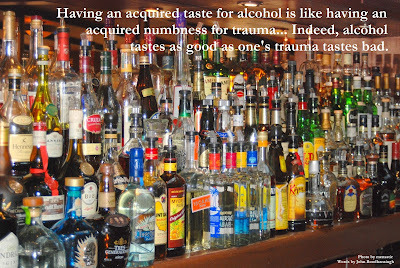 For further insight and explanation into this topic, click here for all alcohol-related posts. Picture, if you would, a newborn child as it sleeps on its back. See this child breathe, and watch how its belly rises and falls with each breath while its chest remains still. Now try this: Place one hand on your chest and the other hand on your belly. As you breathe, take note of which hand is rising and falling. Under balanced conditions, the hand on your belly is the only one that should be moving. Due to stresses from the outside world, as each of us makes our way through life our breathing will gradually change from a circular, deep, diaphragm-induced breath pattern—like the worry-free sleeping child—to a shallow, chest-induced breath pattern with pauses between each inhale and exhale—like most grown adults. This is such a common occurrence yet so little has been said in regard to it that few of us realize the maladjustment or the profoundly negative impact it has on our day to day lives. As humans, we need a plentiful and continuous amount of fresh air in order to maintain our well-being. However, with what we’ll likely find as our typical breathing patterns, we do not enable ourselves to receive this. Like I said, chest breathing is shallow and quick. This prevents us from taking in the necessary volume of air required for good health. To make matters worse, this chest breathing is often done with a gap between each breath. Not only does this pause further reduce the amount of air we inhale, but it momentarily cuts off the breath completely. To better grasp why this is so important, let’s look at how the mechanical ventilation system of a building works in relation to the humans working inside of it. Such a system is designed and installed for a continuous flow of fresh air. To maintain health, when fresh air is pumped in, stale air is pumped out—always at the rate determined during the design process per specifications such as building volume and occupancy level. Let’s imagine working in a shed with closed doors and windows on a humid, 98.6 degree day. In addition, let’s pretend that the ventilation system is dysfunctional and only works at 20 percent of full capacity; blowing a little bit of air in, waiting several moments, and then pulling a little bit of air out. I’m sure you can imagine how the atmosphere inside this shed would get very unpleasant very quickly and only continue to worsen. This is the difference between breathing at 20 percent of full capacity, which is normal for most people, and breathing at the 100 percent capacity we have been created to breathe at. With chest-induced and broken-flow breathing, this is, in effect, how we are treating our bodies. For this reason, it comes as no surprise that we are continually plagued by stress and dis-ease. Such a predicament only worsens when we choose to smoke habitually, work in stale or polluted air environments, have lung issues, or a combination of the three. Our bodies require full and continual refreshment. Oxygen must constantly fill the body as an aid to clearing out toxins and supporting revitalization at the cellular level—both of which aid greatly in providing health and balance to all aspects of life. 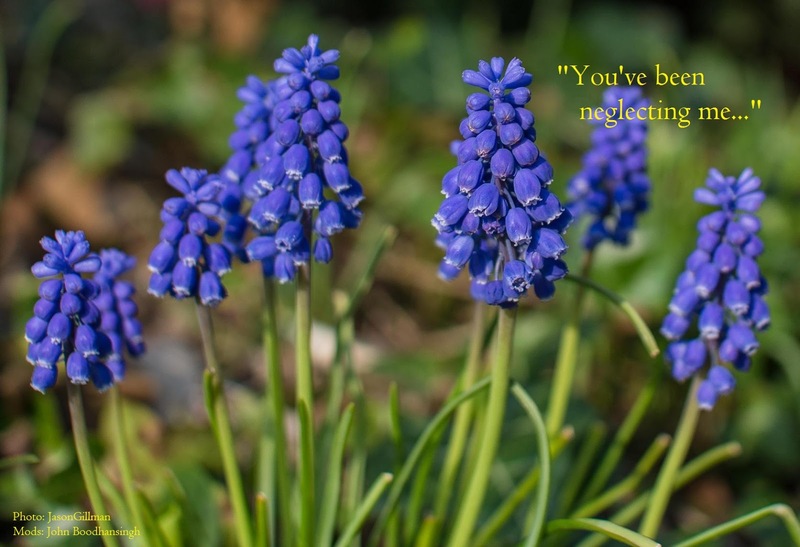 There is a species of Grape Hyacinth known as Muscari neglectum. Indeed, the baby’s breath has been neglected.